How To Get Internet Access In An RV? It’s no secret, an RV can quickly become your home away from home. You have everything you need: bed, kitchen, bathroom, tv unit—some lucky campers even have exterior grills for those warm summer nights. But there might be one thing missing that would really make it a second home: the internet. Having internet in your RV has both pros and cons. Yes, you can get your work done on the road, and your teenager will be kept entertained. But will you miss out on all the fun? We’re not here to debate whether you want or need the net in your RV—that’s a discussion for another day! Instead, let’s figure out if it’s even possible. 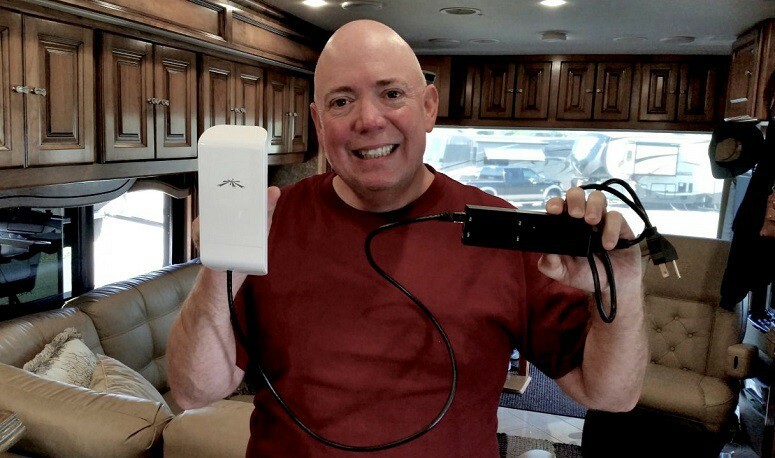 Is There Wi-Fi In My RV? There are actually two answers to this seemingly simple question: Yes and no. 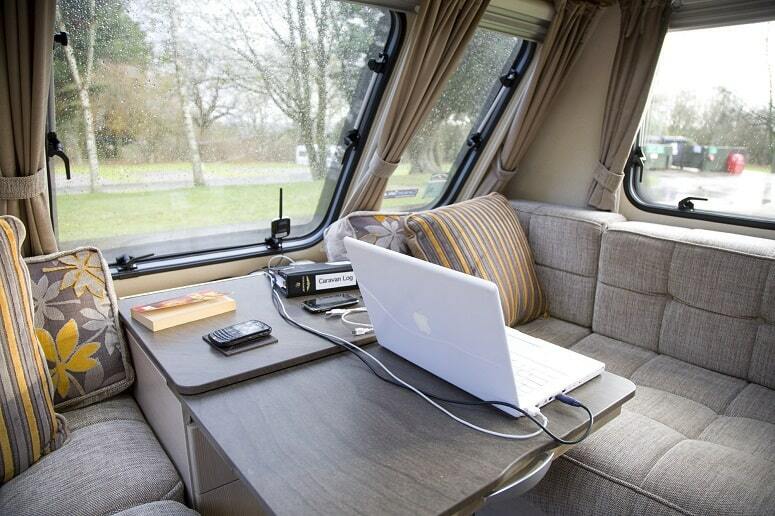 Yes, you can get internet access and Wi-Fi in your RV. And no, RVs do not come with an inbuilt internet option. 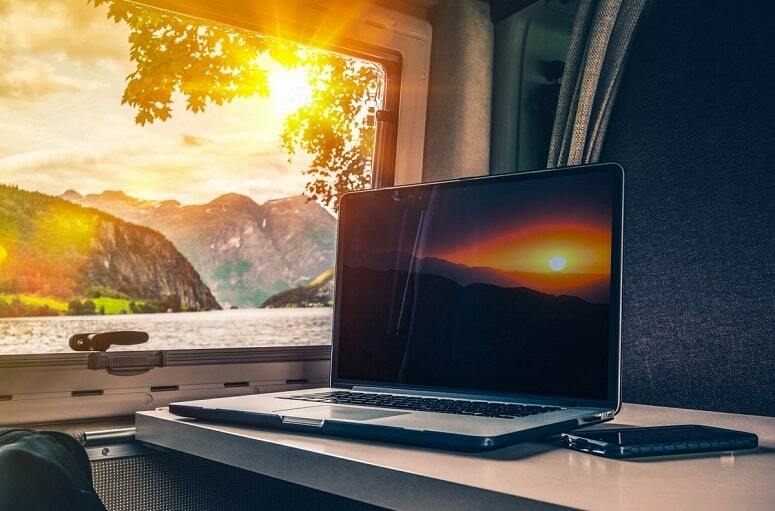 You might be thinking, “I can just put a router in my RV—problem solved.” This is a possibility, but for a router to work it needs a stable network connection. Unfortunately, an RV doesn’t have that unless it’s parked. Luckily for you, there are other ways you can surf the world wide web while traveling in your RV. Some of the ways to access the internet in your RV will require money, others are free. We’ll go through all the options available and hopefully, by the end, you can make a choice that works for you. A lot of campsites offer either free or paid Wi-Fi connections. If you and your family enjoy spending the nights stationary, using the campground’s Wi-Fi could save you money. However, a free Wi-Fi connection is not always the best for a number of reasons. There might be numerous people using it at the same time, making it slow. Or someone has decided to download movies and is using all the available data. If you’re parked up, though, it’s probably enough for you and your family to read messages and send a few emails. That’s right, the closer you are to the router, the better your connection will be. Unlike other radio signals, such as FM and AM, where you can be far away from the transmitter and still receive a signal, Wi-Fi requires you to be close to the router. It makes a huge difference, because you will have first access to all those Wi-Fi vibes. As you pull up to a campsite, try to figure out where the router is located. Then simply park your RV in the nearest available space. Larger campgrounds might have access points located at different spots. So, if you can’t get close enough to the transmitter, find one of these. Your RV can become a Wi-Fi blocker, somewhat like a Faraday cage. The metal walls could be blocking the connection, making it harder for the signal to reach your device. If you have some comfy outdoor furniture, I suggest you find a nice spot in the shade outdoors, and get surfing. Also, another problem with Wi-Fi signals is that they have a hard time going through solid objects, such as trees and buildings. Keeping a line of sight between you and the transmitter can improve your connection significantly. You pull up at the campsite and find it full. The only available spots are nowhere near the router and your kids are at lost without their connection to their friends. This situation could be preventable with a long-range Wi-Fi kit. All you have to do is use a long-range antenna with a high-powered Wi-Fi repeater and you should be good to go. The kit will focus in on the hotspot, and the antenna will feed the signals to the repeater inside your RV. This can make your connection as good as if you were only a few yards away. There are also small foldable indoor antennas available on the market. These can be expensive, but for many people, they’re worth the initial outlay. A pocket Wi-Fi is a small, handheld device, which you can “rent” by the day and then refill it with more data as you need. A pocket Wi-Fi will provide you with unlimited, high-speed internet. You get to choose between different offers by the provider. Some can support five to ten devices at a time, which should easily cover a large family with smartphones and laptops. If you’re driving through populated areas, you might be able to connect to a few networks while on the road. However, you will most likely be driving from network to network, since Wi-Fi requires a stationary connection. There may also be available Wi-Fi at gas stations and restaurants along the way. Remember that connecting to an unknown network should be done with caution. If you’re only going to be streaming music and videos, you should be fine. But if you have to do anything that involves your ID or bank details, it’s best to wait until you have a private, secure connection. Cellular internet is good when you want a secure connection. However, it can take huge bites out of your data package if you’re not careful. Here’s how to use cellular data. These are typically known as air cards. It will connect you to the network you choose. These are good options if you want a safe connection. You can turn your phone into a “router.” If you need to use a laptop or tablet, you can do so using your cellphone’s data package. 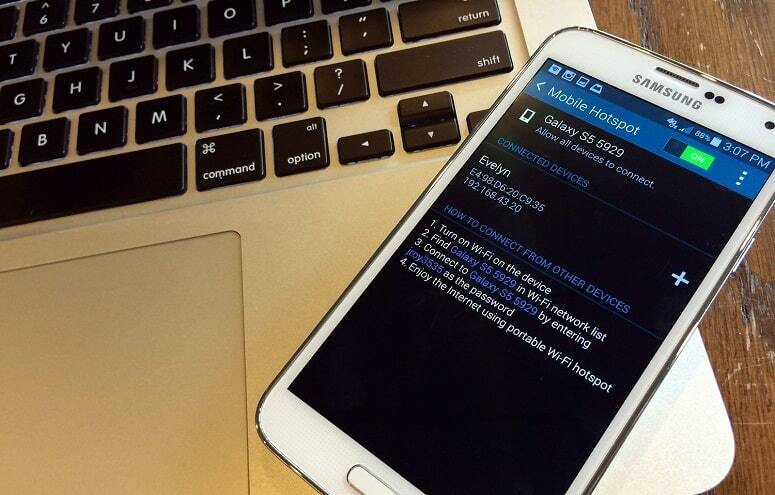 Turn on the data and then access the hotspot function, to send a signal which your other devices can pick up. While wireless cellular internet is good, it does have a few downsides. Primarily because data can be expensive. Downloads and streaming videos and music can do some serious damage to your wallet. If you do want to use cellular data, make sure your plan supports it. And if you are traveling with kids, make sure they download their music, videos, or games before you hit the road. Satellite internet is by no means cheap. If you only need it to entertain the kids, you might be better off with another plan. Nevertheless, if you do need to do some work to do while on the road, it could be useful. You will have a solid connection (similar to that which you have at home) when you’re stationary. First off, you will need to fit a satellite on your RV. There are two types: manual and automatic roof-mounted units. Both need to be installed on the roof of your RV. After that, you need to pay for a package and service. The price will vary, depending on the company you choose. The installation itself can be costly. 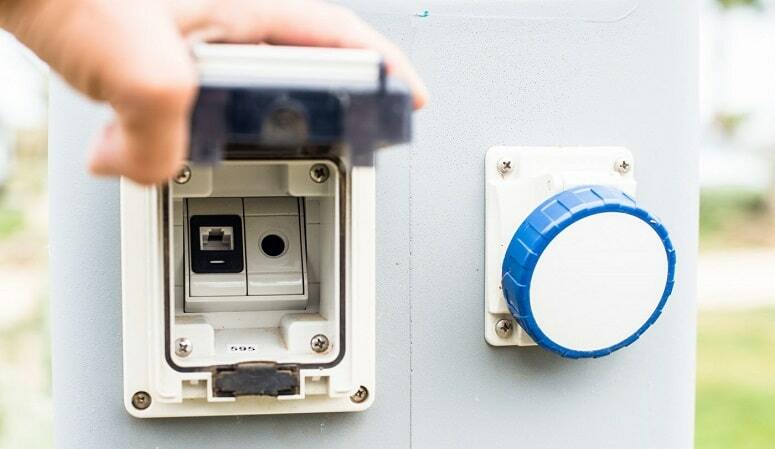 Automatic satellite units tend to be more expensive when it comes to installation. There aren’t many companies offering this service, therefore prices tend to be higher. Outdoor and indoor installation equipment. If you know how a satellite works, you probably also know that the satellite needs a clear sky to provide you with a decent connection. As we all know, the weather or surroundings are not always on our side. Rain, thunder, lightning, trees, mountains, tall buildings: all these things can compromise your connection. This is also one of those options you, unfortunately, might only find while parked at a campsite. Some campsite offer cables for internet connection. If you stay at a place that has this, you could be lucky. DSL will provide you with a fast connection, and it’s usually inexpensive. Dial-up internet is another story though. Dial-up is slow and infrequent, it will also only work with a limited number of devices at a time. If you had dial-up internet at home in the past, you might recall going offline anytime the phone rang. Just imagine on a campsite, where multiple people are wanting to use the internet. Many sites have come up with a plan to combat this. For example, everyone will get 10 to 15 minutes, then it’s back in line. DSL is like the dial-up upgrade. It can be used by multiple people, and simultaneously works with the phone. Having a good connection while traveling in your RV may make the trip just that little bit easier. Traveling with kids can be especially hard; no matter their age they will get bored at some point, and complain they have nothing to do. Limit the use: As mentioned previously, try to download before the trip begins. 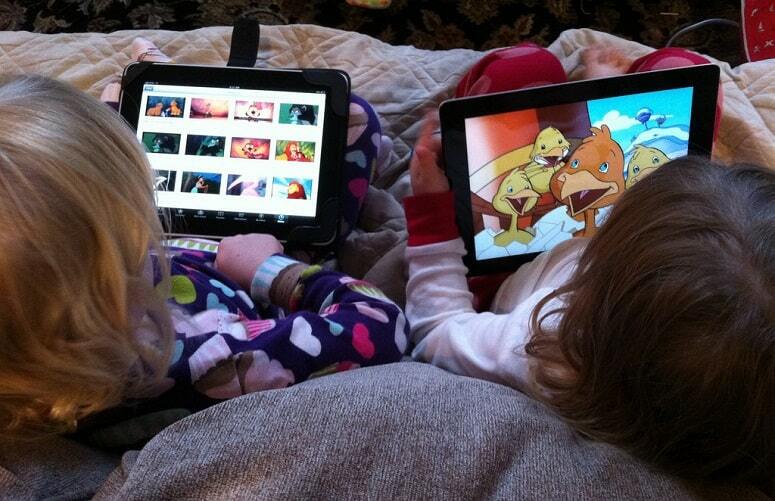 Make sure your children know not to download or stream music and videos when you’re not on Wi-Fi. Plan ahead: If you know you’re going to be using the data on your phone, you might as well be prepared. Before going on your trip, set a daily limit for data usage. Everyone in the family should get the same amount. By doing this you can avoid a hefty bill. Consider DVDs or Blu-ray: Sure, we live in the Netflix era. But, if you can find some family favorites on DVD or Blu-ray, you could have on-the-road entertainment for the whole trip. Netflix also allows you to download movies and shows. They won’t stay with you forever, but it can be helpful to download a few before a long drive. Watch your apps: Apps are notorious for racking up the phone bill. You think you’ve closed them, when actually they’re still running, chewing through data. Remember to close them completely, not just by pushing the home button. Re-evaluate what you need: It might be easy to tell yourself that you and your family don’t need the internet while traveling. But, you should take everything into consideration. Don’t go for a big plan if you are likely to be spending lots of time on a campsite. Find campsites that are known for having Wi-Fi available, and plan your trip accordingly. Make sure you know about the campsite’s regulations first though. Some sites do not offer free internet. Take it all into consideration and think about yours and your family’s needs. As much as we might want to disconnect from our day-to-day realities while camping, it’s not always an option. Sometimes we need to do a bit of work or check over a few emails. In which case, a decent internet connection can be a life saver. As we have seen, there are many ways to connect to the net while you’re camping. Though Wi-Fi is great while stationary, it’s not the best option when moving. In which case, air cards, cellular data, or even a satellite connection can be used. Think about your needs and then choose the best option for you. If you have younger children, try to find other ways to entertain them. Invest in a few fun board games or DVDs, remind the kids that there is life outside of the digital realm! We hope you’ve enjoyed reading about how to get connected while you’re on the road. 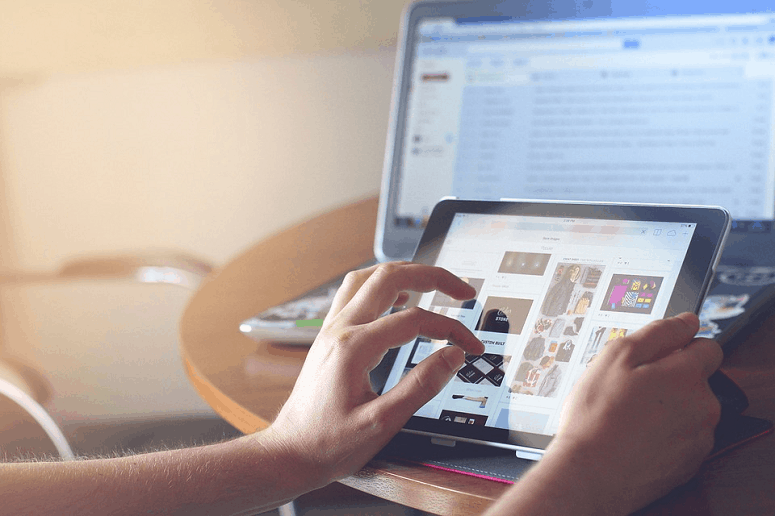 Do you have an internet connection in your RV? If so, which option do you use? Let us know in the comments below, and don’t forget to share this article!